Who even benefits from Economic Growth? The Australian Government has recently changed the focus of the aid program away from poverty alleviation towards economic growth. 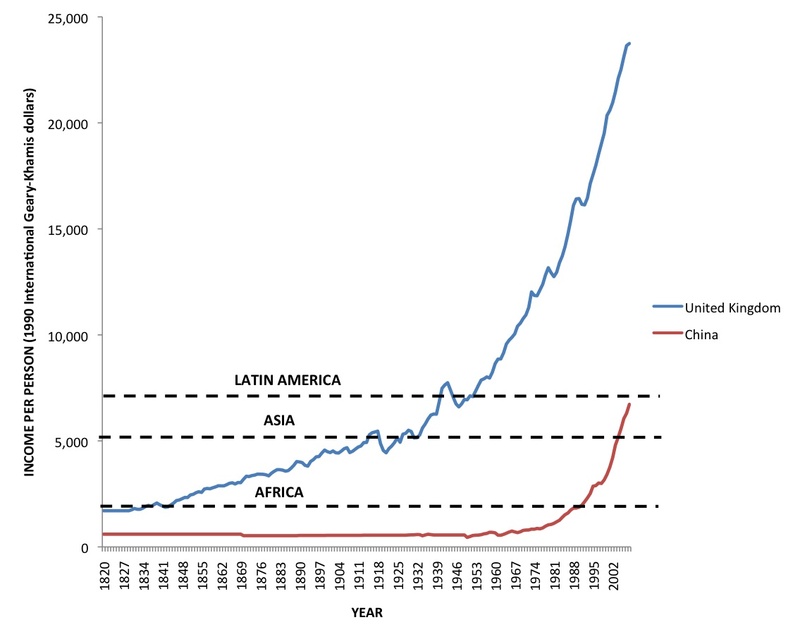 However, historically economic growth has disproportionately benefited rich households in developing countries. Even when economic growth is more equal for rich and poor alike (i.e. 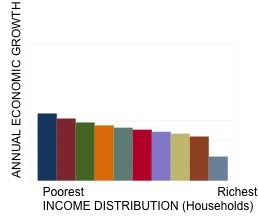 equal across the income distribution), the income gap between rich and poor households still increases. The objective of Australia’s aid program should revert back to helping people overcome poverty. The Australian Government has changed the focus of the aid program away from poverty alleviation towards economic growth. 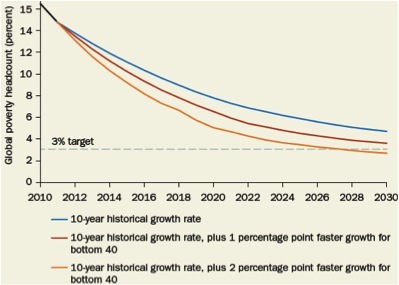 However, the analysis below shows it is likely that this will largely benefit the wrong end of the income distribution in developing countries. This is because rich households gain the most from economic growth. 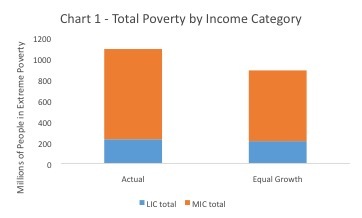 While economic growth is often argued to be the solution to poverty in developing countries, poor households have not benefited as much from economic growth as rich households over the last decade. This conclusion can be reached by analysing the World Bank survey data available at the online database Povcal. Two country specific examples for the last decade of available data are provided below: one with rich households experiencing the greatest economic growth (Indonesia), and the other with more equal economic growth across the income distribution (Philippines). Unequal economic growth in Indonesia over the last decade resulted in huge increases in income for the richest households. 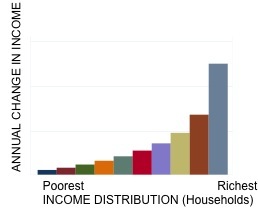 The first diagram below shows that the average income growth experienced by the poorest 20% of households was less than half the rate of growth of the richest 20% of households. 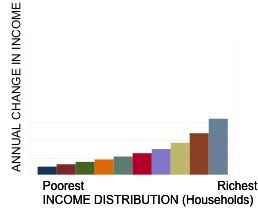 The second diagram illustrates the even more unequal change in income that the economic growth brought about. Each year the total increase in income for the richest 20% of households was similar to the other 80% of households combined. In other words, half of the increase in income from economic growth went to the top 20% of the income distribution. The Philippines experienced more equal economic growth across the income distribution over the last decade, however a similar pattern emerges. The first diagram below shows that the richest 10% of households experienced around half the rate of growth of the other 90% of households. 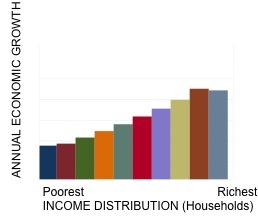 However as the second diagram shows the richest 10% still experienced a greater increase in income than all the other households. In fact, the richest 10% of households had an increase in income of more than five times the increase in income of the poorest 10% of households. This is because a decade ago the richest households had an income around 30 times larger than the poorest households. Recent history has shown that a reduction in the income gap between the rich and poor has not occurred in a developing country during a period of prolonged economic growth. This evidence suggests that economic growth does provide some benefits to the poor, however the rich are the main beneficiaries. 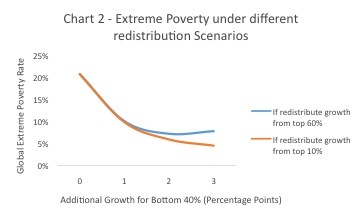 Even when economic growth is distributed more equally across the income distribution. With promoting economic growth as the objective of the aid program, Australia’s aid will not focus on those who need it most. 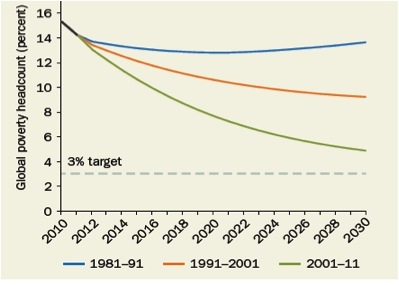 The Australian Government should revert back to the previous objective of the aid program – poverty alleviation. Otherwise rich households, as opposed to those in extreme poverty, will benefit the most from the aid program.